The onboarding process is one of the most critical components in building a profitable organization. As they say, first impressions are everything – and if you’re not impressing your new customers, then you may have issues with retaining them. Roughly half of consumers are willing to pay more for a better customer experience. And what’s more appealing is that these customers are spending upwards of 140% more than those who rate a company poorly. This is exactly what makes onboarding so important. However, there are a number of factors that can disrupt the proper onboarding of new customers. For instance, not having an onboarding process that’s interactive and engaging. Or having one that’s frustrating and confusing. But things are definitely changing, now that there are onboarding software solutions available. If you’re not sure which of them you should use to improve your onboarding process, then continue reading. 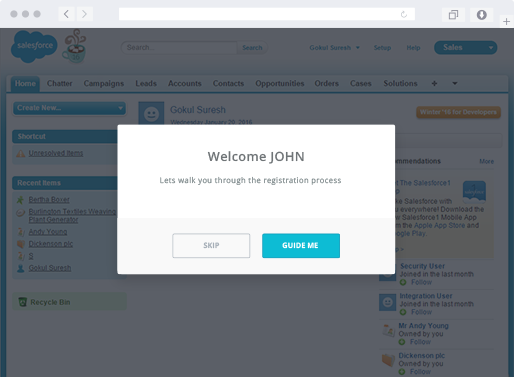 Let’s take a quick look at some of the leading onboarding platforms out there today. First up is the WalkMe onboarding platform. It’s oftentimes compared to the Whatfix platform because of its various similarities. WalkMe offers cloud-based solutions that make digital onboarding a breeze. This is a plus if you’re a company that’s looking to bring aboard new clients quickly. It’s ideal for large corporations, small businesses, and everything else in between. Some of the cons associated with this app are that it only supports Firefox for creating walkthroughs and it doesn’t offer audio walkthroughs or visual coach marks. As for the pricing, the plans are customized for your business needs. You’ll have to request a quote to get a price. However, there’s a free option as well, but this comes with limited walkthroughs and assists per month. Perfect the first-run experience for new sign-ups; push for meaningful actions, make sure they understand the value of your product, and pave the way to Aha! Userpilot is currently offering –for a limited time– a FREE one-year fully featured subscription for companies with less than 2,500 monthly active users. For the normal pricing, plans start at $49 per month. Here’s another popular app used by businesses for their onboarding. It too is a web-app that you can use anywhere there’s an internet connection. You’re able to easily build and publish your tours from wherever you are. The installation is fairly easy – just three clicks and you’re done. Or you can get technical and manually install it using their JS code snippet. You can use it with single-page apps, iframes, and various other frameworks like React and Angular. Then to top it off, you can try it out for free using the Chrome Extension – no installation required. Overall, the application is intuitive with point-and-click selections, WYSIWYG editing, and instant publishing at the push of a button. There’s plenty of customizations using CSS and advanced styling options for the font and template. However, some customers complain that the app is heavy and can run slowly at times. The interface can also be clumsy. The pricing is also a pro. There are some onboarding software that can run you into the tens of thousands per year. Yet with Chameleon, you have the option of paying $239/mo for the simple platform. Or go sophisticated with the custom annual billing option. If you prefer the latter, you’ll have to request a special quote. Not an expert coder? Then you should consider UserGuiding, which was created for the non-programmer. It offers a quick, hassle-free setup, along with interactive guides to ensure you get up and running easily. 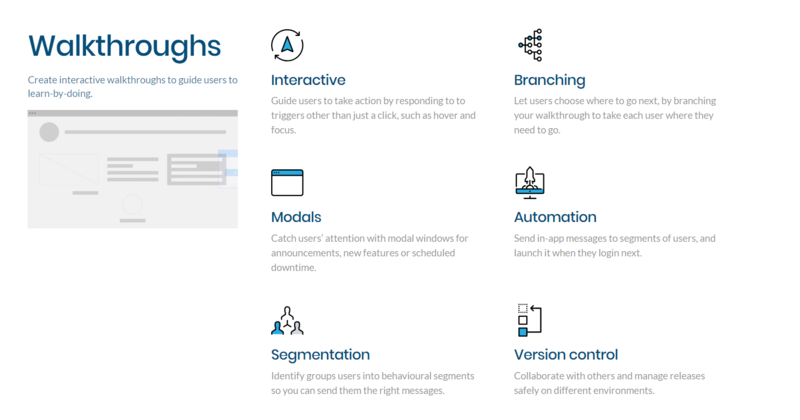 Not only are you able to define and build a user experience, but you can also segment, target, and schedule according to your onboarding needs. There are also analytics tools to help you manage and measure the efficiency of your onboarding materials. It currently integrates with Google Tag Manager. Coming integrations include Intercom, AskNicely, and Google Analytics. There’s also plenty of flexibility with its pricing plans. This is another code-free platform you can use for onboarding your new clients. It includes all the bells and whistles, such as in-app messaging, walkthroughs, and other features to engage your users. You can easily create flows with customized styling and templates. Then you can create segments that target specific customers. For instance, you can have one onboarding campaign for commercial property owners, another for investors, and another for homeowners. There’s multilingual support and analytics that allow you to measure the effectiveness of your onboarding. There aren’t many cons to this platform, except for the software updates not being communicated properly and reporting could use improvements. However, the developers are avidly upgrading it. This is why you’ll find many reviewers giving it 5 stars. But don’t take our word for it – you can test it out using the free trial. Then once you’re ready for the paid versions, you can start with the $159/mo option, which is geared towards startups. Or you can go with the one with more robust features at $249/mo. Of course, there’s a customizable plan for larger enterprises, which requires a consultation. When you’re consistently bringing aboard new customers, you want to get them “in line” as quickly as possible. So why not create an interactive “manual” with Inline Manual? 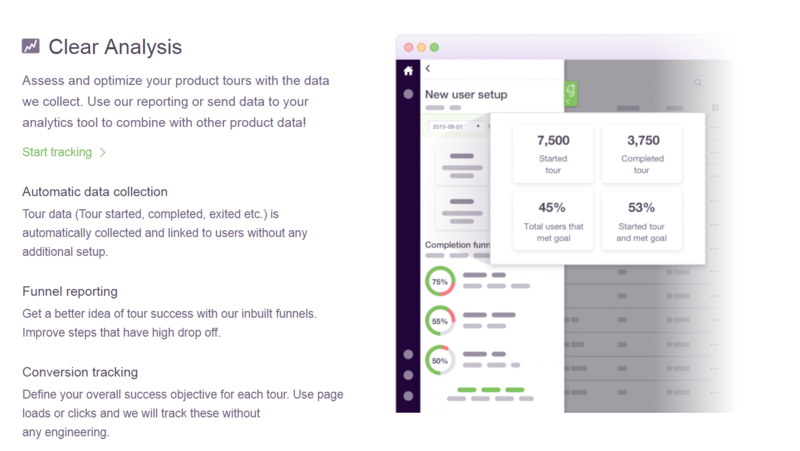 Analytics tools are also available to ensure your onboarding is actually effective. 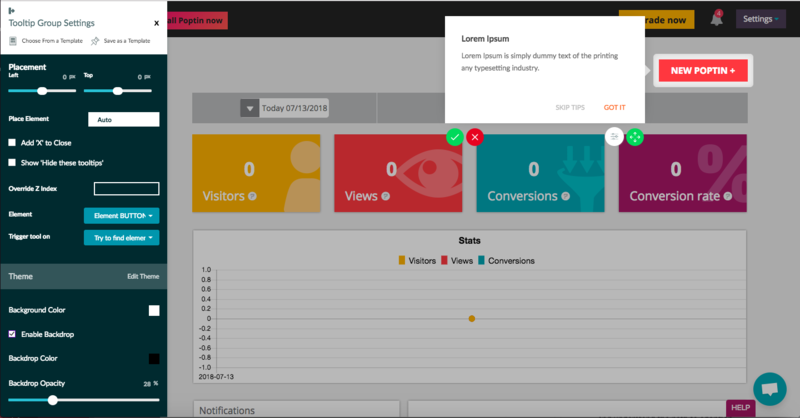 Then it comes with 3rd party integrations for Google Analytics, Kissmetrics, Segment, and Woopra. The only con we could find about Inline Manual is that the interface is unconventional, which may make it a bit more difficult to learn starting out. The pricing for this platform is very flexible – the standard plan is $59/mo and the Pro version is $158/mo. You can contact them to set up your own unique plan as well. 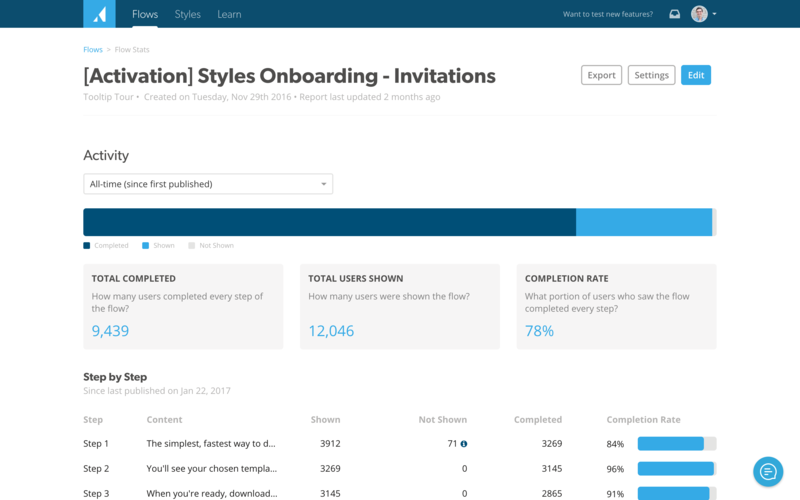 The focus of this tool is to help drive your customers’ focus on your onboarding content. For instance, you can create feature intros, CTAS, focus shifters (i.e. 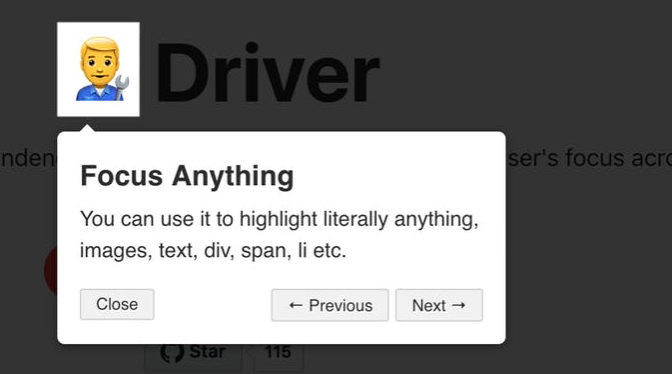 highlight important sections with popup infoboxes), and anything else you need to boost user engagement. This is important because you don’t want your new customers getting bored and not completing the onboarding or getting frustrated with your product or service. The platform is very customizable, user-friendly, and works across all major browsers. Not to mention, it’s MIT licensed and free for commercial or personal use, which is a major bonus. The only downside to this platform is that it requires you to have engineering to implement and maintain the platform. The WhatFix application is designed for small to medium businesses who want to conduct training, onboarding, and UX improvements for their customers. It works on all the popular browsers, such as Safari, Opera, Chrome, Firefox, and Internet Explorer. Plus, it has a self-service editor that allows you to quickly and easily create walkthroughs. However, the editor isn’t as user-friendly as WalkMe. Once you learn it, creating these guides will be a breeze. 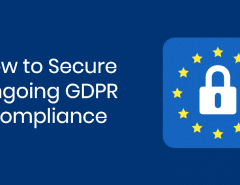 Some of the features it comes with include step-by-step text bubbles, reporting and analytics, conditions, segmentation, and a search bar widget. Another downside is there are no clear indications of what the platform costs. You’ll have to contact the company for a quote. Userlane is the navigation system for software that works in any browser. Despite being a very solid and complete solution for user onboarding, it is extremely easy to implement without any coding. What customers love about our Userlane is the fact that their editor allows them to create interactive guides in minutes. Such guides are fully interactive and personalized through behavioral data and segmentation. Userlane creates an overlay that blocks every item in the UI except for the specific element that the end user is required to interact with. 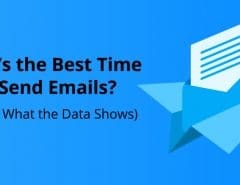 This includes any form of possible interaction, from single or double right or left clicks, drag and drop, mouse-down or hover events and plenty more. This way, procedural mistakes are eliminated and each interactive guide takes each end user by the hand and directs them through processes in real time. Userlane offers a virtual assistant that is always on screen and allows software users to access interactive walkthroughs for every process at any time. Guides can also be triggered automatically or sent via hyperlink. Now, it’s time to start looking into these platforms to see which would work best for your budget and onboarding process. 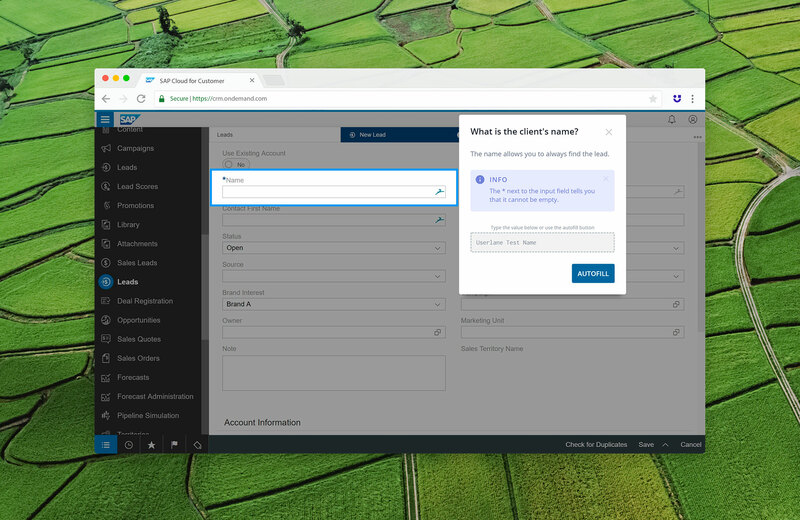 Once you select the onboarding tool that fits you, you can begin working on your materials for helping new customers get on board. But before you can onboard new customers, you first have to capture more sign-ups. We can help with that! Poptin is a platform you can use to create popups and overlays to entice your visitors to subscribe, purchase, or stick around longer. Sign up for free to see how it works!